The company has been projecting the future of motion for over forty years, by developing and realizing an integrated offer of hydraulic and electronic products and systems, all custom-tailored and specifically tested for each different application. 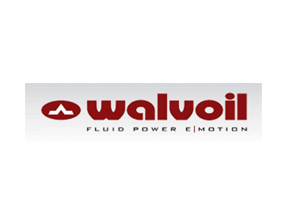 Walvoil offers a wide range of products more and more dedicated and tested for every application: monoblock valves, sectional valves, load sensing valves with electro-proportional controls interfaced with digital electronics, remote controls and diverter valves. Galtech pumps and motors enrich the wide range offered by Walvoil. After a merge with Hydrocontrol, the increased complexity of documentation management, process workflow and design thru different CAD systems required the adoption of a complete PLM system. The company chose Aras Innovator®, already used in Hydrocontrol since 2011, raising the total number of users for the system above 250. This includes more than 100 CAD designers in an integrated organization distributed among Italy, India and China.